As a result of the heist at Rajinder Place Metro Station on Monday, security has been beefed up, with the additional precaution of a ban on commuters covering their faces. 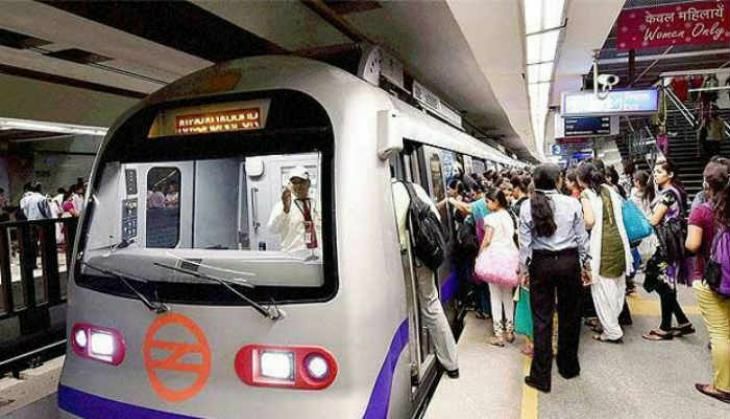 Now, Delhi metro commuters will not be allowed to cover their faces using surgical masks, duppattas or mufflers, as per fresh instruction issued by the Central Industrial Security Force (CISF). According to the reports, the security hold area has also been expanded at some stations. According to the CCTV footage available, two unidentified masked men, stormed the metro station control room and looted around Rs 12 lakh cash on, on Monday. "Only terminally ill or serious patients will be allowed to cover their faces using a mask or cover. Everyone else who uses a cover for any reason, whether it is to beat the heat, stay away from pollution or to avoid an infection will have to remove the face cover while getting frisked. "The rule was already in place and people were asked to remove it during frisking but it will now be strictly implemented in all cases. This is to ensure that all faces are seen by security personnel and captured on CCTV cameras as well. In case there is an incident, everyone should be identifiable," officials said. At nearly two dozen stations on the Yellow line (HUDA City Centre-Jahangirpuri) and Blue line (Dwarka Sector 21-Noida City Centre/Vaishali), the CISF has expanded its security apparatus and brought under control large areas under its armed cover. The force has moved its door-frame metal detectors and baggage X-ray machines closer towards the entry gate so that passengers are frisked and their luggage is scanned much ahead as compared to the existing protocol. "The measure has been taken keeping in mind the overall security of Metro stations. While close to 24 stations are being brought under the new security mechanism in the first go, the CISF will initiate these at more stations as and when the space is obtained," they said. READ NEXT >> Maldives President's visit: why is India hell-bent on helping a dictator?